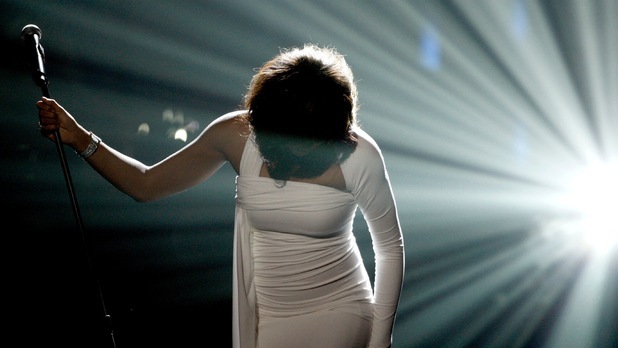 Apple has been accused of exploiting the death of Whitney Houston by increasing the price of her albums on iTunes. Fans of the late singer, who was found dead in Los Angeles yesterday (February 11) at the age of 48, spoke out after discovering that the cost of her back catalog had been put up since her passing. Houston’s 2007 Ultimate Collection increased by £3 to £7.99 in the space of just 30 minutes, with iTunes users reporting that they were prevented from downloading the LP at its original advertised price while the update occurred. Some accused Apple of “cashing in” on the tragedy, while others said that the company should be “ashamed” of their “shameless exploitation”. Digital Spy readers have also registered their objection at the new prices, with Twitter user @CallumGriffiths describing the move as “disgusting”.